What are your thoughts on the Christmas spirit? To be honest, it can feel a little much. The Christmas carols at the overcrowded mall. The red and green… everything. The fact that every commercial starts with a jingling bell. Not to mention all the checklists and the get-togethers! At the same time though, I do enjoy it. I need a little Christmas cheer to get me through the winter blah’s. There’s something special about this time of year, especially for a new mom. This little Danish word roughly translates to cosiness, but it’s so much more than that. It’s indulging in simple pleasures. It’s connecting with your loved ones. It’s intentionally enjoying your surroundings. And it’s the reason the Danes are always topping the World Happiness Report. 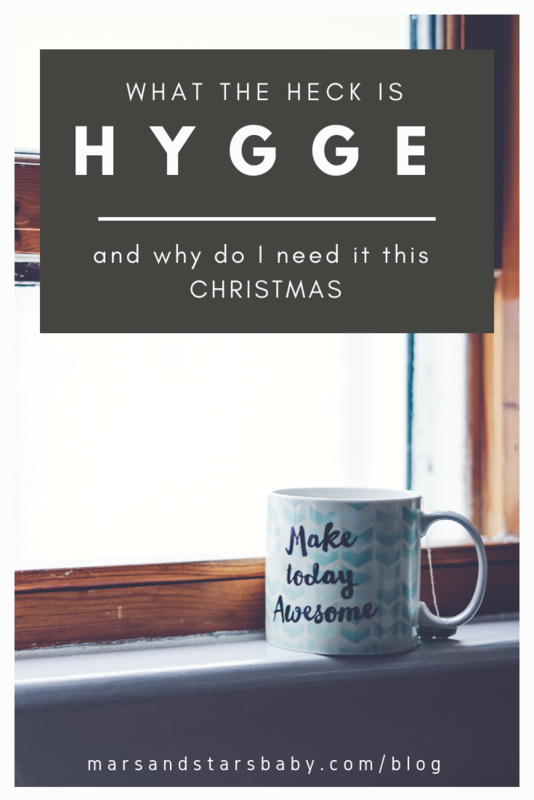 So how does this hygge help with the Christmas overwhelm? Here’s how you can use it to redefine the holiday cheer. Some days my home is a total zoo. Who knew one toddler could be so destructive? But I have one tidy corner where I get some peace of mind. It’s my “simple pleasure” corner where my family can sit, snuggle, read, and simply enjoy. It screams “cosy” (well, more like whispers) and it makes me feel at-ease and relaxed. It even inspires me (and my toddler) to tidy up the rest of the home. Whether they’re plain, christmas-themed, scented, or the LED variety, nothing’s more hygge than candles. Dim the lights and turn up the atmosphere. Want to up your hygge game? If we’re talking cosiness we’re talking throws, blankets and even snuggly pajama pants. Add a Christmassy tea or hot chocolate to really turn up the cosiness factor. Snuggle up with a book (even if it’s Dr. Seuss,) and indulge in your surroundings. Ahh hygge. Okay, so I’m not a baker, but sometimes I’ll buy those Pillsbury crescent rolls and pretend. There’s something about it that lets the whole family get involved and leaves us in anticipation. The scent alone brings on the cosy atmosphere that screams holidays. For me, something about the holidays brings about this hustle and bustle. The schedules are laid out months in advance, We have to be gracious guests and entertaining hosts. We have a checklist longer than Santa’s. It’s overwhelming. And don’t make it a huge party. Otherwise you’re just inviting that holiday chaos but in a different form. So let’s choose hygge. Let’s enjoy the moment. The atmosphere. The simple pleasures. Let’s redefine the holidays.